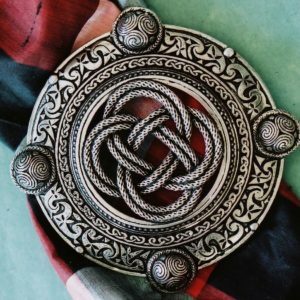 This is a magnificent and imposing Plaid Brooch, and the largest of our “Targe Style” designs. (We also make a line of smaller “Targe Style” pins for sashes & hats.) 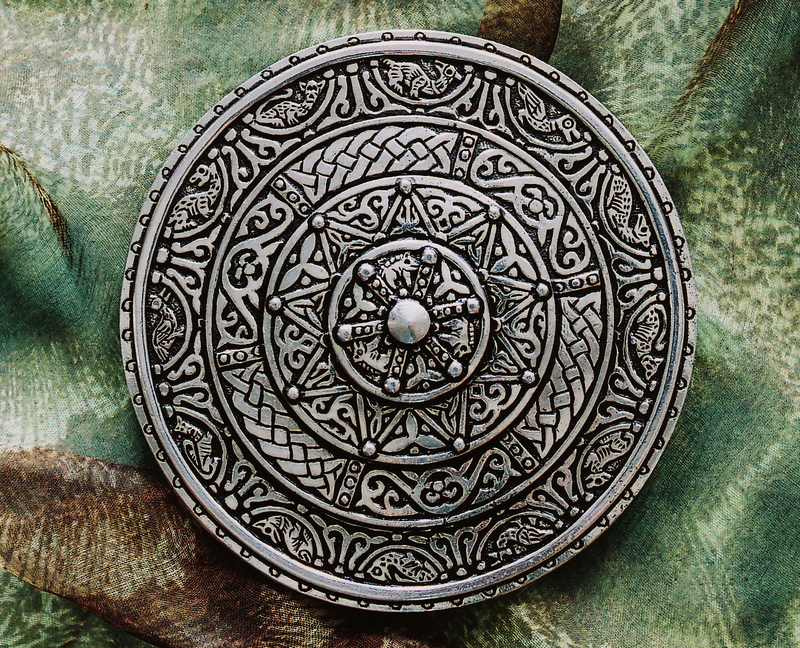 We based the design of this pin on a pattern that was carved on the decorative center rondel of a targe (the small round wood and leather shield) that was originally carried by a sixteenth or seventeenth century Highland warrior. This is a complex, fierce, beautiful and spirited piece: Perhaps a bit like the now nameless craftsman who made the original shield, or the warrior who once carried it. And, as a piece of jewelry it is no less spirited. In the words of a certain old Scot, this is “a fine Sunday brooch.” Although the original targe is the size of a barrel lid, our pin is -although large- a fine size for a shoulder. 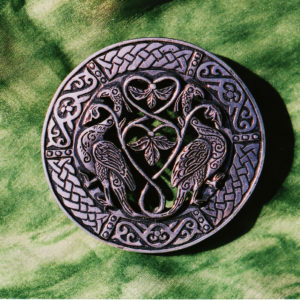 This pin will hold the whole nine yards and can be worn as a pendant as well as a brooch. 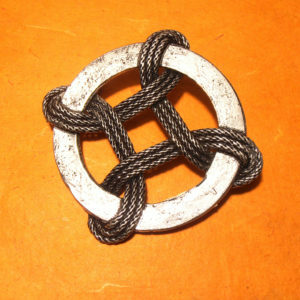 If you are interested in this design you may also be interested in our Scottish Targe Cloak Clasps. A smaller version of the Highland Targe.